Whenever I see a film that has been adapted from a non-fiction book, I become curious to see how things have changed in the process, if it’s a faithful adaptation or if the screenwriter took liberties. So after seeing 12 Years a Slave, I decided to read the book. I recommend it. Particularly this edition. The above Kindle edition is only $0.99. And for an extra $1.99 (for that edition only), you can get the audiobook too. It’s read by Lou Gossett, Jr. Kudos to the folks at Amazon. When you listen to the linked audiobook, the text follows along, so that if you decide to start reading, Kindle automatically goes to the right page of the text, then goes to the right place in the audio when you pick up the audiobook again. Anyway, while I recommend reading it, just in case you don’t want to, here are the top five differences between the film and the book, according to me. I must say that the film is an unusually faithful adaptation of the book. They didn’t change much, just condensed and simplified to fit it into the film. But scenes played out almost identically with those in the book, even the dialogue, which is why the language feels so authentic for the time rather than being in 21st century language. 5. 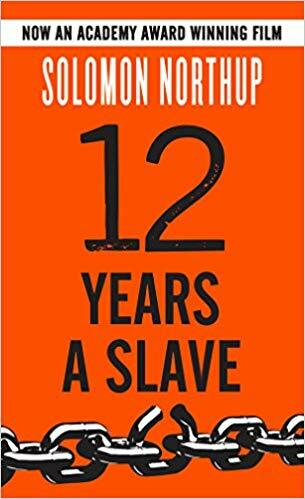 Solomon Northup’s family knew what had become of him within only a couple of weeks of his kidnapping. There was an Englishman on the ship that took him to Louisiana, and he agreed to mail a letter for Northup. Once the letter was received, Northup’s friends appealed to the governor of New York for assistance in getting Northup back. But they didn’t know where he was, so nothing could be done at that point. Also, one of the enslaved men who had shared part of that journey with Northup, escaped a short time later, and sought out Northup’s family in Saratoga during his flight to safety in Canada, to give them news. 4. Remember Eliza, the slave Northup meets in the first days of his captivity? She is dressed in expensive orange silks and has two children, Randall and Emily. Her situation played out in real life pretty similarly to what is shown on screen, but is rendered even sadder with more details. The reason she was wearing that beautiful dress was that she had been told she and her children were being taken to get their free papers, so she dressed them all in their best. But in reality, they were being sold down the river by her children’s half-sister. Then, Eliza was separated from her children and never saw them again. As in the movie, the slave merchant described his plan right in front of her: “There were heaps and piles of money to be made off [Emily], he said, when she was a few years older. There were men enough in New-Orleans who would give five thousand dollars for such an extra, handsome, fancy piece as Emily would be . . . She was a beauty—a picture—a doll.” At this, Eliza became frantic. But the two were forced apart. Afterwards, Eliza would often talk to her children as if they were there in front her her. Eliza lived only a couple of years after she was separated from her children, though, and she basically died of grief. She had been purchased to be a lady’s maid, but, without her son and daughter, she became depressed and lethargic and cried all the time. Eventually she was sold to a cruel man who whipped her all the time to get her to do anything. But she barely responded to the whippings, and eventually she just went inside the slave quarters and lay on the floor. The other slaves fed her and tried to help her, but she was listless and wouldn’t eat, and after a few weeks or months in that condition, died. 3. About the woman, Patsey, who is badly abused by Mr. Epps and his wife: Epps rapes her and whips her, and his wife whips her and abuses her in other ways due to jealousy, even trying to have her killed. That’s all pretty much the same. 2. In the movie, one day Northup’s friend shows up and he’s suddenly free! In real life, it took five months to free him once the letter was sent telling them where he was, and there was a lot of legal work. The guy (Bass) who had sent the letter to Northup’s friends (played by Brad Pitt in the film), even discussed going north himself because it took such a long time to hear back from Northup’s friends. The danger was such that the letter didn’t even contain Bass’s name, the name Northup was known by (Platt), or his location in Louisiana. So his friend had to find him once he’d arrived in Louisiana. The only reason he had the time and money to do this was because a New York law had been passed providing financial support to free New York citizens kidnapped into slavery. The way they found him was first, they started asking around if anyone knew Solomon Northup. No one did. He didn’t tell anyone, even his fellow slaves, anything about his former life and identity. But the searchers knew the area and date the letter was sent, and focused on that. They deduced from that that Bass was the likely letter sender and found him and got the information needed. Then they worked in a frenzy to get the appropriate paperwork before anyone told Epps what was happening. This involved waking up a sheriff and judge in the middle of the night, then arranging for the sheriff to accompany them to Epps’s. 1. The violin: In the film, Northup is given the violin by Ford (played by Benedict Cumberbatch), owner of the first plantation where he is enslaved. In reality, no mention is made in the book of where he got his violin. Likewise, there’s no mention made of him destroying his violin, as he does in the film after he is forced to whip Patsey. So where did he get it? He may very well have purchased it himself—in Louisiana, by law, slaves got to keep any money made from labor on Sundays. Northup’s fiddling skills were enjoyed by people all over the area, and he was paid for his performances at parties. By the way, the money made for Sunday work was what slaves used to purchase all of their possessions: clothing, a cup to drink from, a bowl to eat from, utensils, shoes, etc. Those were not provided for them.